Indolplex® Supports Maintenance of Healthy Oestrogen Hormone Levels. Features 3, 3′-diindolylmethane (DIM), is a natural plant indole that is abundant in cruciferous vegetables such as broccoli, Brussels sprouts, cauliflower, and cabbage. In supplemental form DIM can be difficult to absorb. Indolplex® contains a proprietary DIM complex to enhance absorption. This microencapsulated formulation provides higher bioavailability. 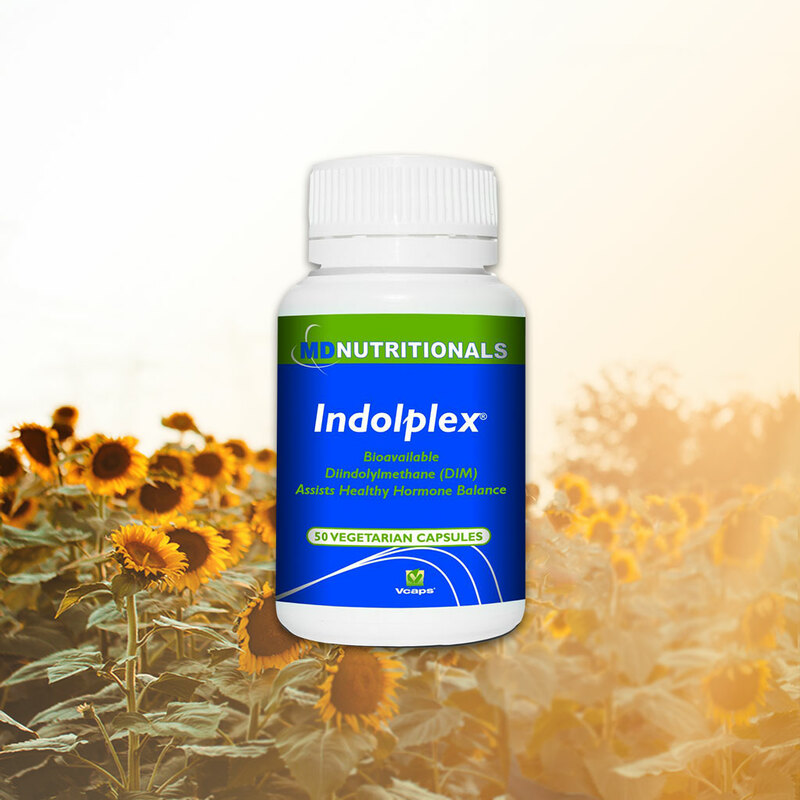 Indolplex® features absorption-enhanced DIM to support female healthy hormone balance. Supports oestrogen hormone levels in both women and men. Oestrogens are a group of three biochemically distinct hormones, oestradiol (E2), oestrone (E1), and oestriol (E3). Furthermore, oestrogen is enzymatically converted to specific oestrogen metabolites such as 16-alpha hydroxyoestrones, 2-methoxyoestrogens, 16-alpha hydroxyoestrone, 4-hydroxyoestrogens and 4-methoxyoestrogens. Helps reduce free radicals formed in the body. When comparing dietary indoles studies show Indolplex® is more stable than indole-3-carbinol (I3C), the precursor to DIM.